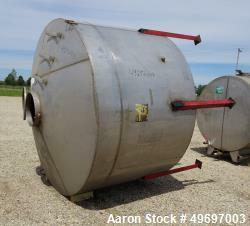 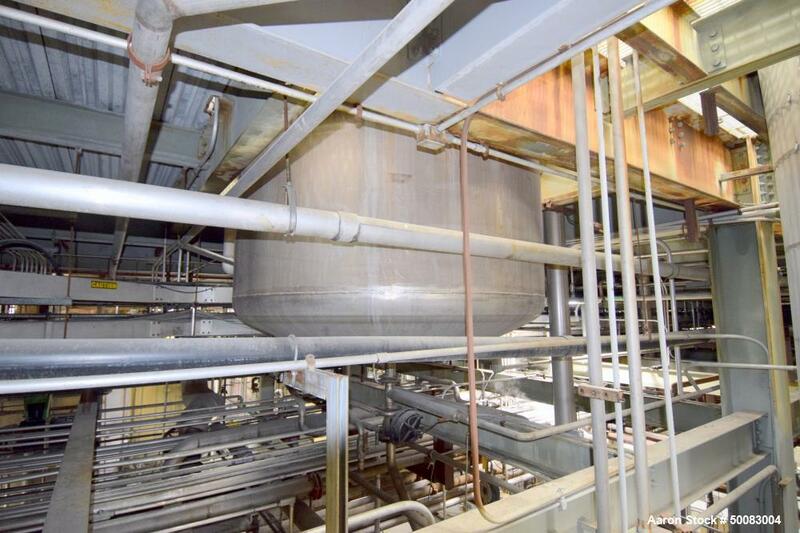 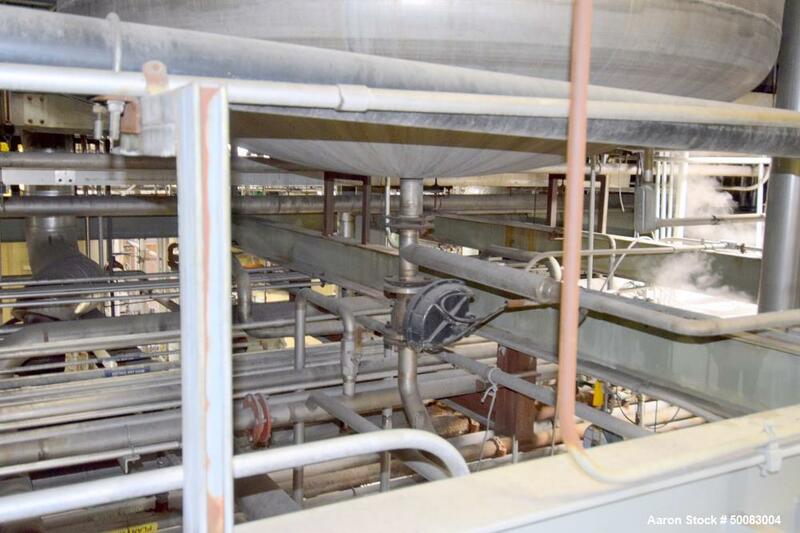 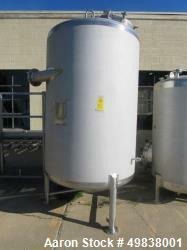 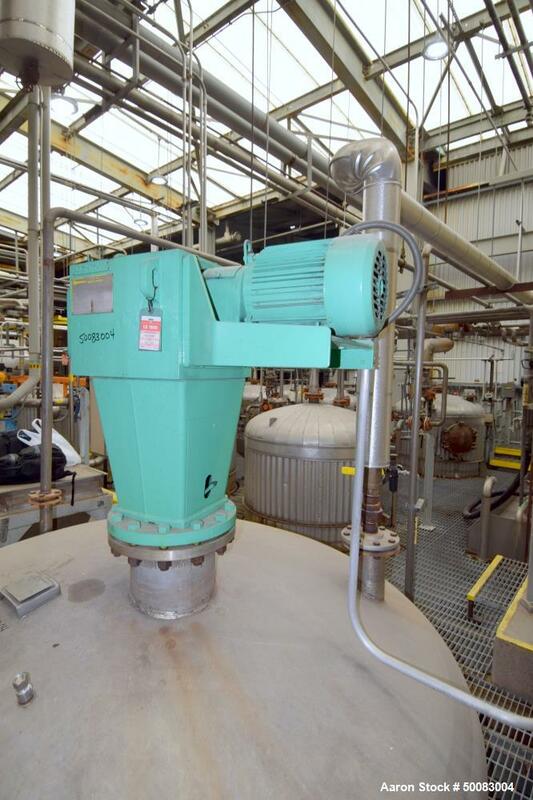 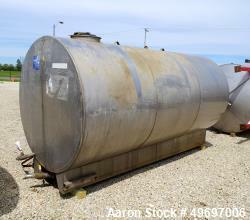 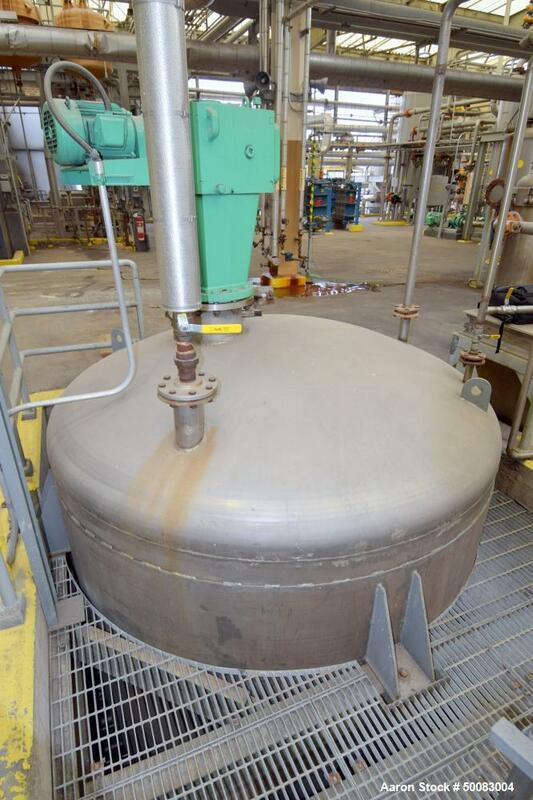 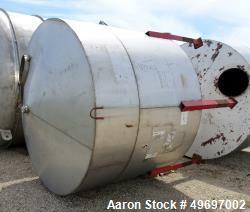 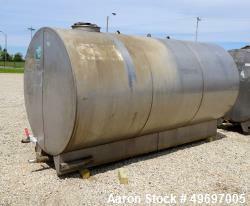 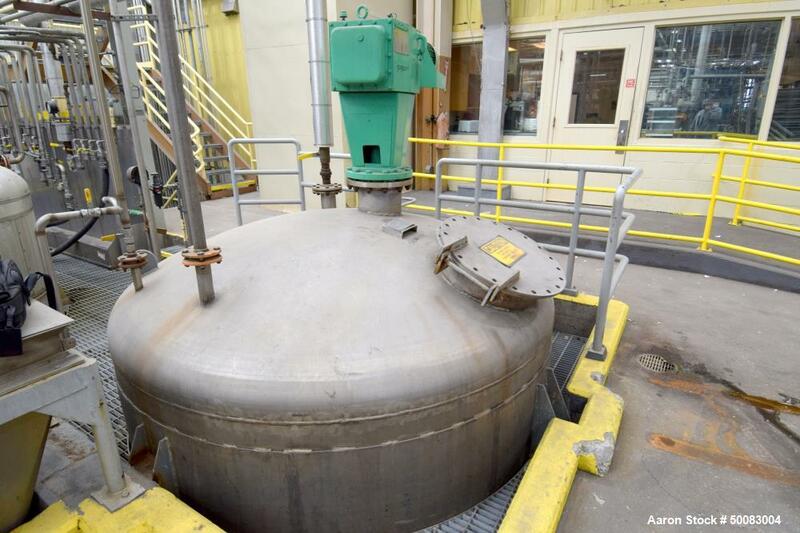 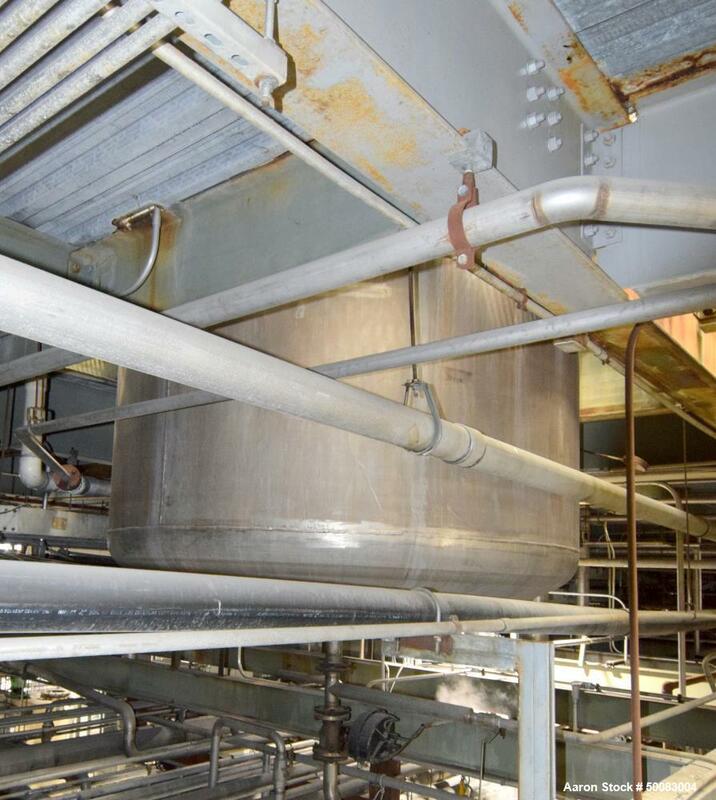 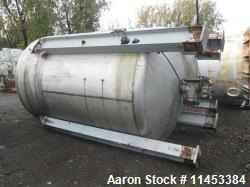 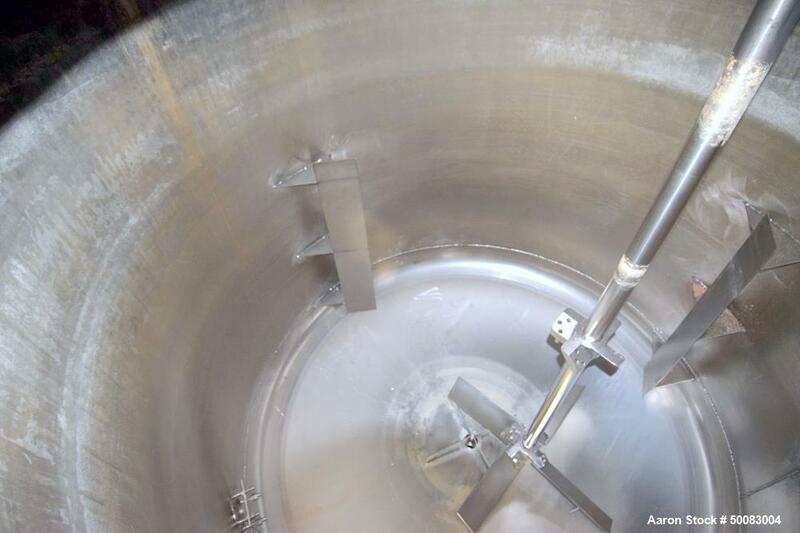 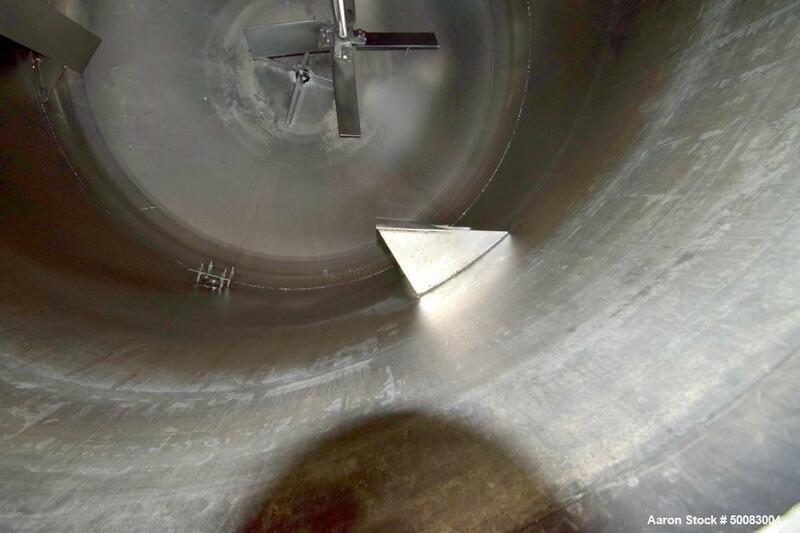 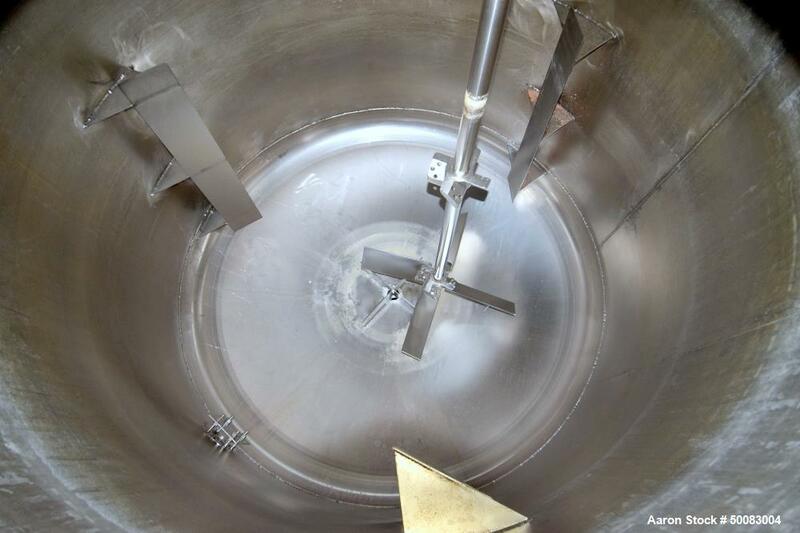 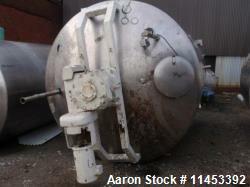 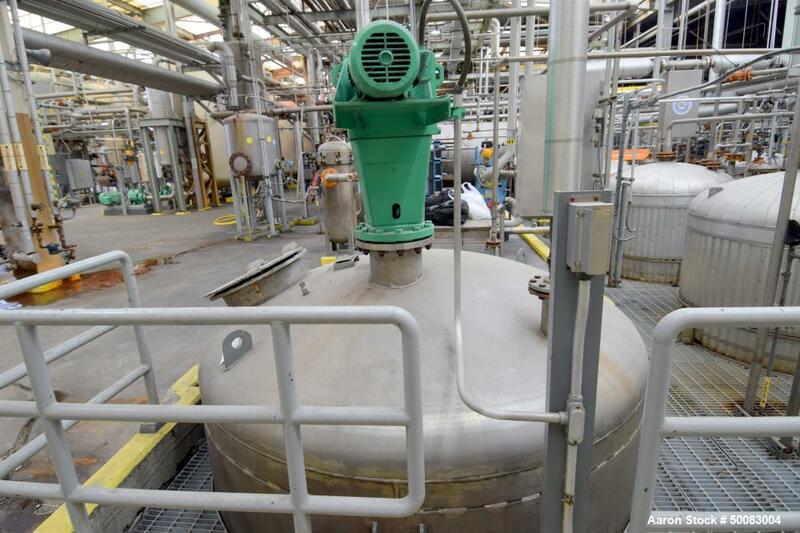 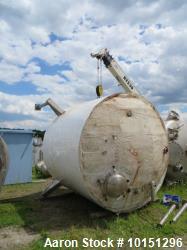 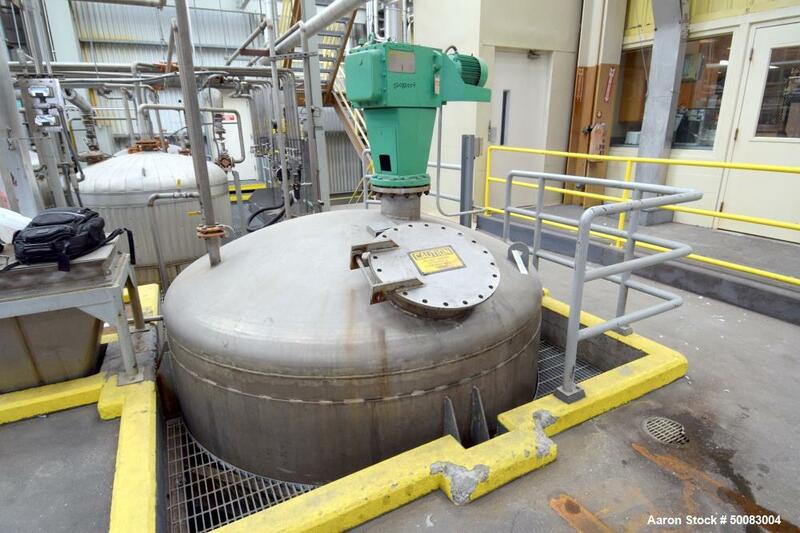 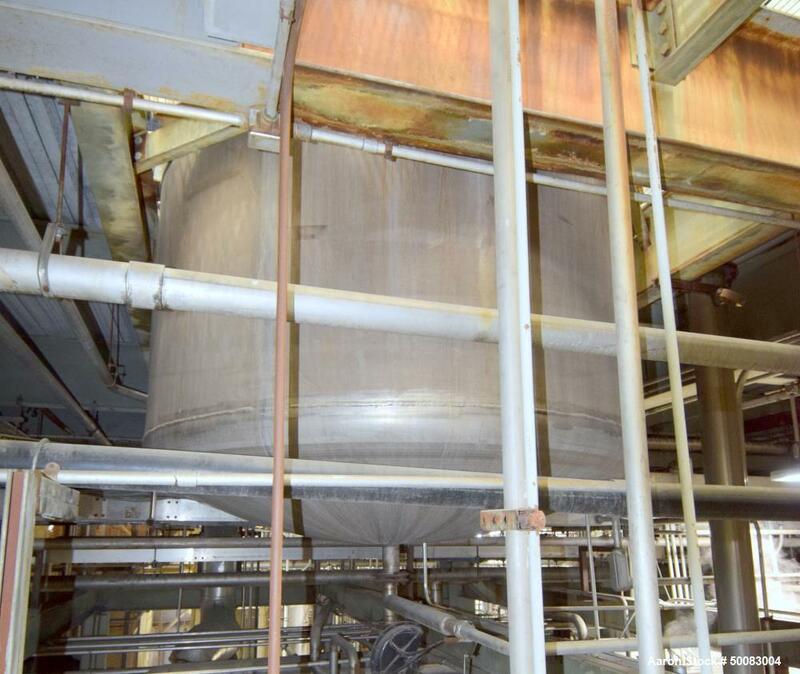 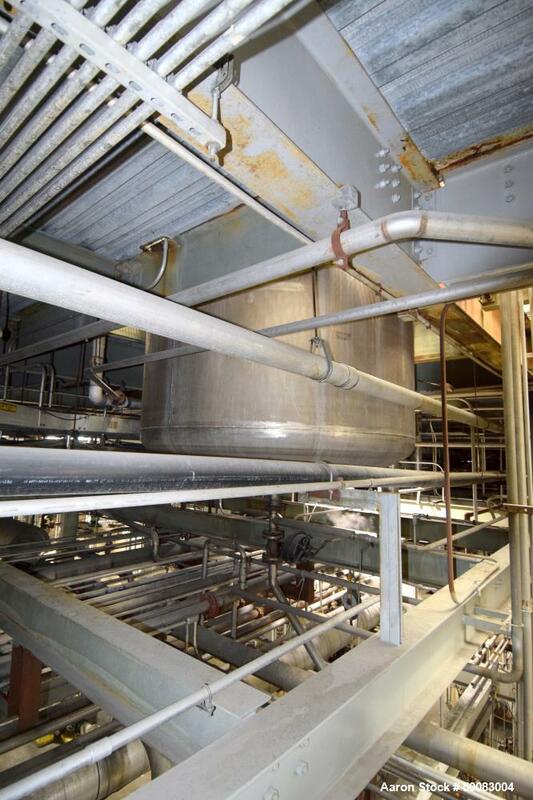 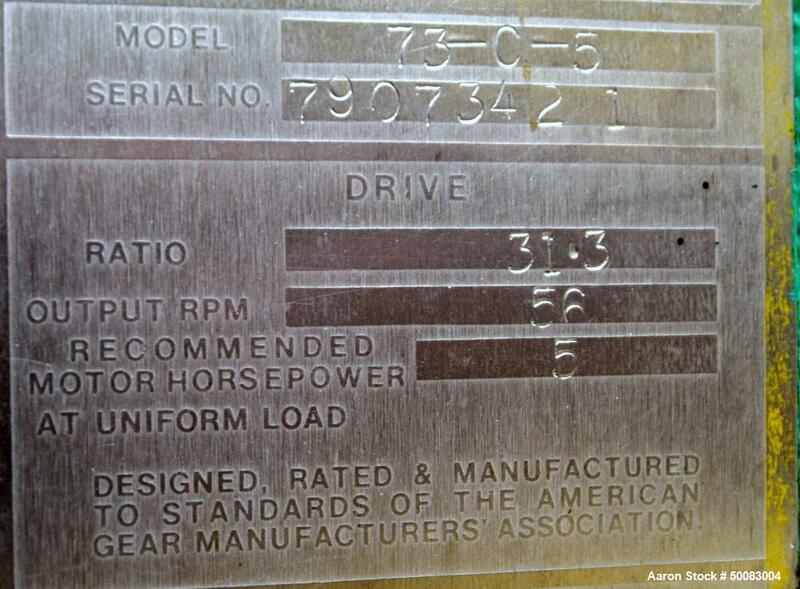 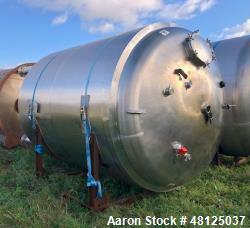 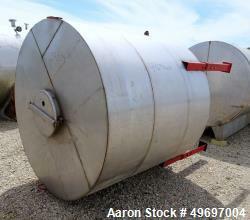 Used-Mason Steel Tank, Approximately 2,500 Gallons, Stainless Steel, Vertical. 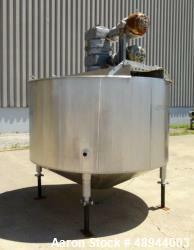 Approximate 96” diameter x 74” straight side, dished top & bottom. 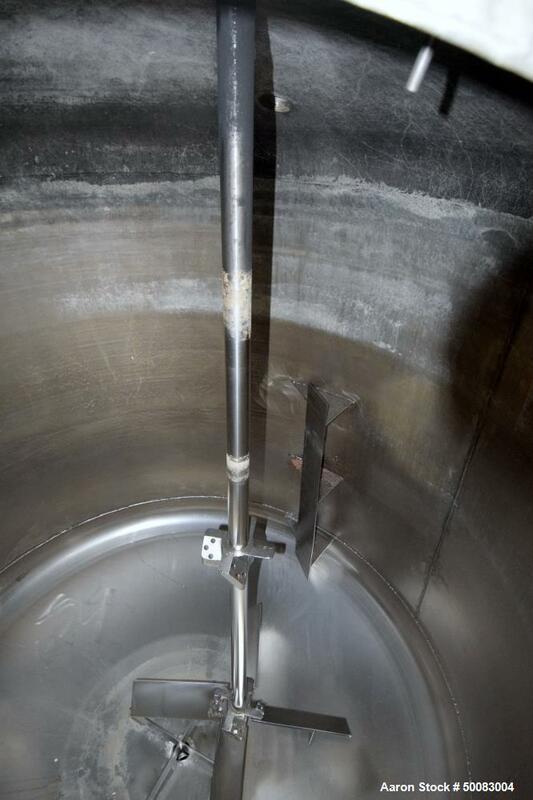 Internal rated 14.9 psi at ambient temperature. 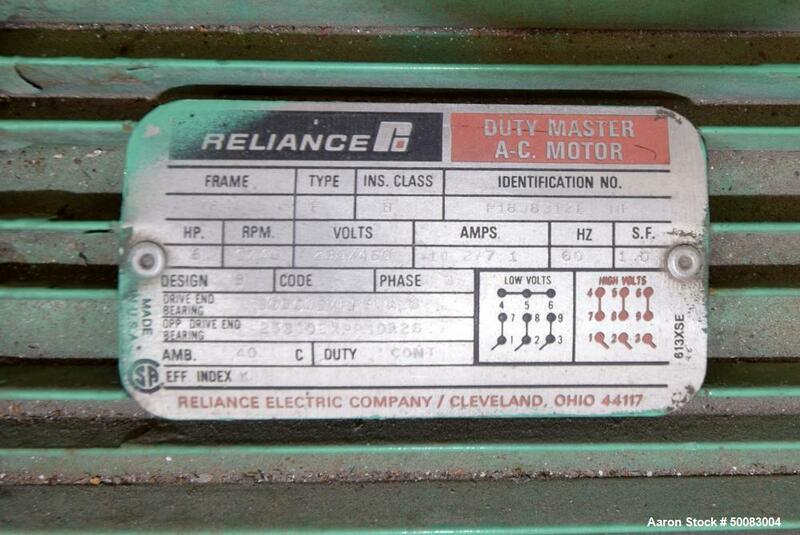 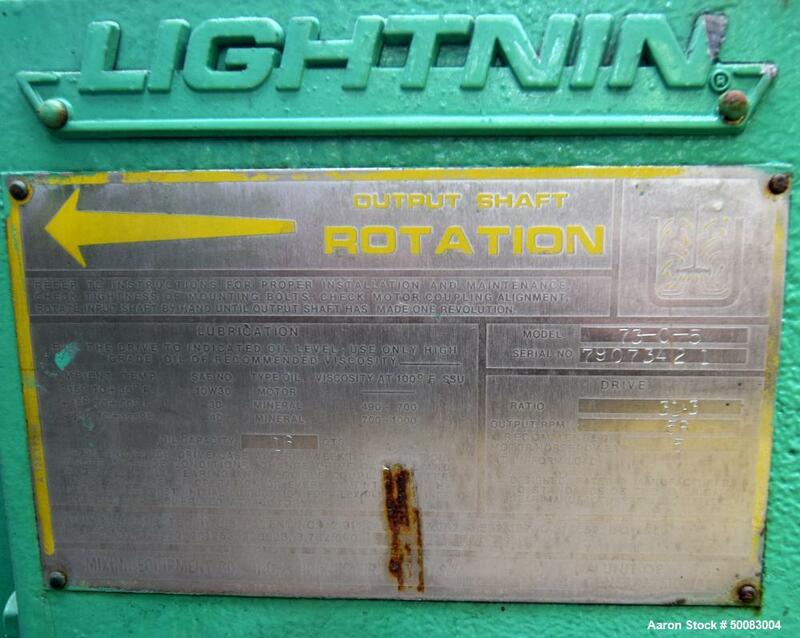 Off center top entering Lightnin agitator, model 73-C-5, serial# 79073421, ratio 31.3, output rpm 56. 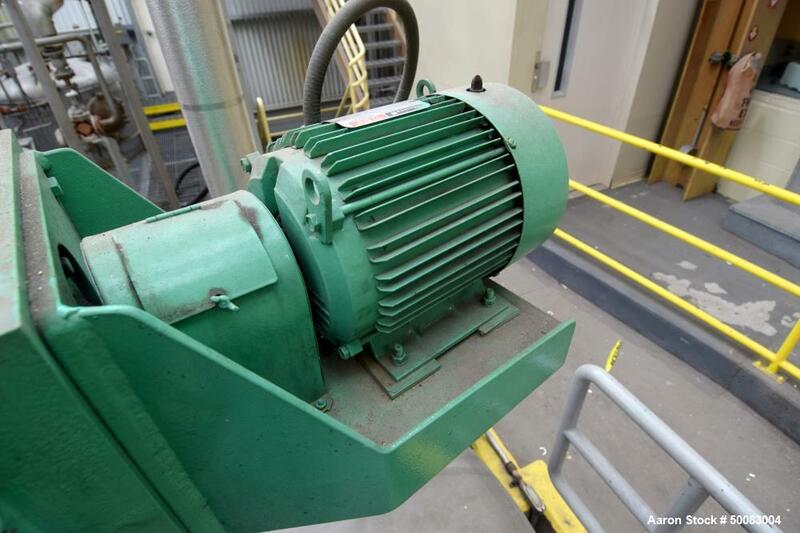 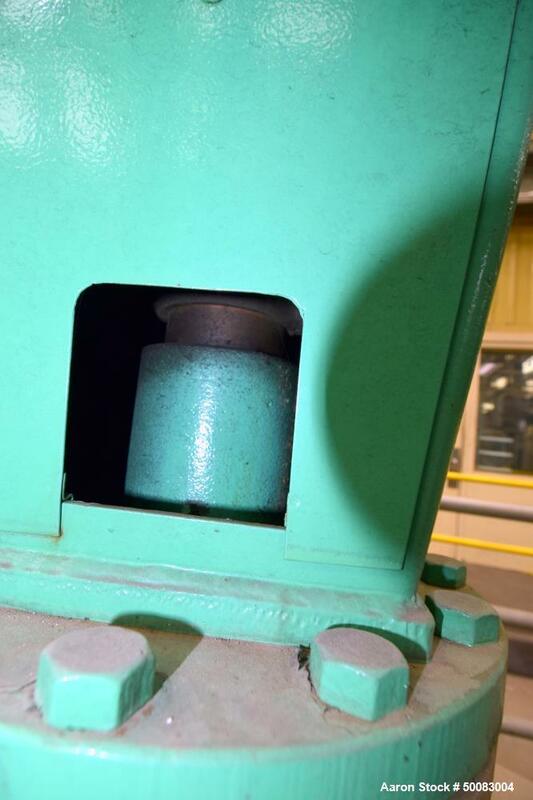 Approximate 2-1/2” diameter shaft with a 4 blade turbine, driven by a 5hp, 3/60/230/460 volt, 1740 rpm motor. 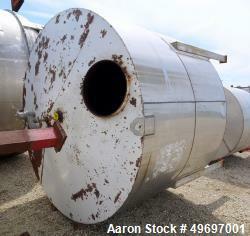 (3) 48” Tall side wall baffles. 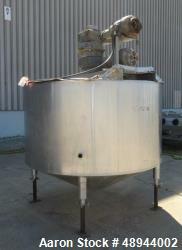 Openings top 1-1/2”, 2”, 4”, 10” 18” man way with cover, 3” center bottom outlet. 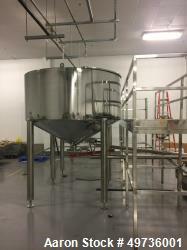 Mounts on carbon steel side lugs. 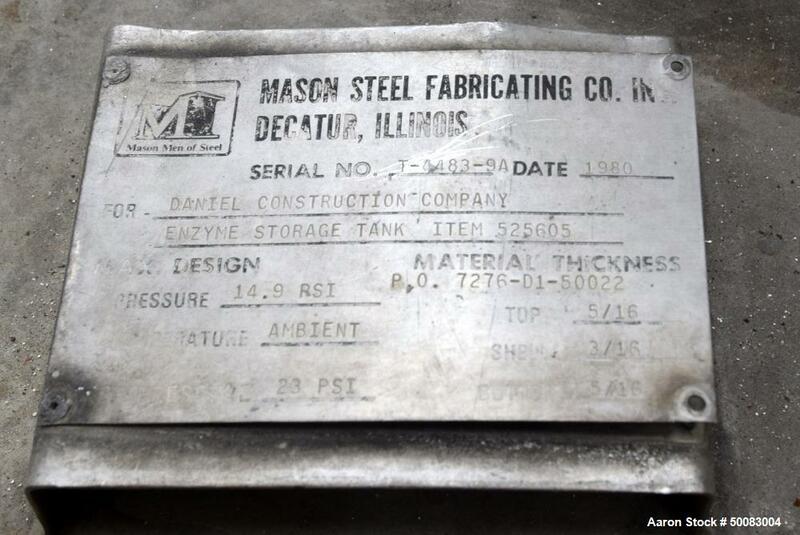 Serial# T-4483-9A, built 1980.